Online gambling casinos have formed an integral part of the virtual gaming world. With the expansion of the online casino industry, various games have gone innovative, and several new types of the classic casino games are attracting new subscribers each day. The UK based website offers a plethora of online games to choose and play from. Roulette has been a casino favourite for ages, and almost everyone knows a few things about the classic game. It is probably the most played game among the online casino gambling community. Gone are the days when you had to go to a local casino, place your bet, take your winnings and depart. With only a few varieties of the much-loved game to choose from, and also the amount that you could bet was limited. Thanks to the UK based website, you can now place your bet and enjoy online gambling while sitting comfortably on your couch. The latest versions of the online roulette have more than the usual 36 numbers. Latest updates have brought in state of the art sophisticated and developed gameplay experience with an array of gaming options in 2018. Let's glance through the most popular roulette versions that will suit your liking and preferences. European Roulette: The bets can be placed on the numbers 1 to 36, black or red, and even the columns. 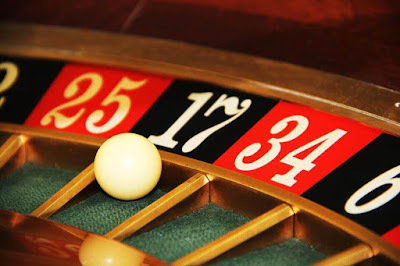 The European roulette is single zero, implying that the house edge is only 2.7%. Payouts for a single number rise to 35/1. American Roulette: The traditional Vegas version comprises the extra double zero, meaning that the house edge gets raised to 5.26%. You should be taking the fact into consideration before placing your bet. However, the payout is potentially high. Irrespective whether you are betting for colours or odd and even numbers, the net payout is even. French Roulette: The French Roulette share quite a similar resemblance with the European Roulette. However, there are a few variations. The French Roulette is guided by the ‘La Partage' rule, in which if the ball gets landed on the zero; you would forfeit only half of your bet. ‘En Prison' rule is also followed. In this rule, if you bet on even or odds and the ball ends up on zero; you'll get the chance to win the bet back. The dealer puts your bet in the ‘prison' by placing a marker on the top of your bet. If you are being able to win on the next spin, you can win your bet; otherwise, you must forfeit the bet on the house. This unique variation is exclusive to the French Roulette. The Premiere Roulette Diamond Edition is a vibrant addition to the classic gameplay. The online casinos extend their graphics enhancement to the fullest by adding more colours to the game apart from the simple red or black option. Players are given the opportunity to place their bets on various shades that include yellow, blue or even green. The usual 1-36 numbers along with single and double zero are also present. Multi-Ball Roulette: The Multi-Ball Roulette is a crowd favourite of the online casino visitors. This special variant allows the players to bet on up to three different balls at the same time. Thereby, it lets you bet on multiple numbers instead of just one. The winnings would be split by the number of balls in play. Spingo: As the name suggests, Spingo is quite a bizarre combination of Bingo and Roulette. The numbers in play here are just one to ten. You can bet on three varied colours. Once the Roulette is put into spin, numbered balls are picked out randomly, which are then placed into coloured trays. You can pick numbers, colours, Odds and even desirable. Multi Wheel Roulette: The UK based website uses Microprogramming, which allows you to bet on up to a whopping eight wheels simultaneously. You have to place the bet on a single board of play. However, the results are dependent on the other boards that would be in play at the same time. It is an excellent game for utilising your deposit bonus at a much quicker rate.